Strong dollar? My foreign currency predictions for 2015, and the factors that may trigger a newly weak dollar. Each New Year, I publish my thoughts on the year’s currency predictions; which currencies will go up and which will go down. Unlike multinational bank analysts who sit around pontificating about the direction of currencies they wish to speculate on, I analyze currency movements for a much simpler reason: my own personal investment. We frequently talk about the concept of currency diversification as a strategy to diversify assets beyond our home country’s currency. The purpose of this is to avoid having all of our eggs in one basket when the local central banks and politicians decide to run wild. And while my friend Charles Goyette is correct that all fiat currencies eventually go to zero, that doesn’t mean that currency diversification doesn’t make sense. In 2014, for instance, I suggested that holding British pounds would be a good strategy for hedging against what was then uncertainty with the US dollar and the Federal Reserve’s quantitative easing. That strategy worked well, with the pound seeing large “safe haven currency” gains in the first half of the year until the financial world decided to go ga-ga for the dollar now that the money printing portends to be over. The pound is right around where it started one year ago, and there were decent gains to have been made along the way. In 2015, the story will be different. Even dollar collapse “doom sayers” have predicted that 2015 will be the year of the US dollar. Yes, believe it or not, the national currency of a country with fifteen figures of red ink and IOUs floating around has been anointed as the safe haven currency of 2015. Owe a bunch of people, including your own citizens, $100 trillion and perhaps you too can churn out a currency that garners the respect of the entire financial media and Wall Street merely be agreeing to stop creating so much more of it than already exists. Perhaps the financial media finally caught on to the fact that the British pound is more widely counterfeited (outside of government mints, at least) by criminals and based their decision on that. Either way, it is not for me to argue with the direction of the markets. Contrary to how some think, currency diversification isn’t about an insistence on being right. It is about protecting the money you have accumulated by spreading your risk across multiple fiat currencies. While I believe the US dollar will eventually be exposed and suffer the fourth monetary collapse in recent memory (according to Jim Rickards), 2015 is not shaping up to be a weak dollar year. I should have written this article two weeks ago as I’d already be well ahead of the game. Regardless of the date on this field report, I spent November and December setting up several euro-denominated contracts that will carry our company through 2015. The way I saw it a month or two ago was that the euro would not be able to maintain its 1.25 level against the dollar. That’s why I decided to negotiate contracts with European suppliers and contractors in their native Euros. Already, this move has saved us thousands of dollars and I expect the dollar to continue to hold strong against the euro. For our company, which bases its operations in Hong Kong dollars, the comparison to the euro is essentially the same thanks to the roughly 7.78:1 US dollar peg. With Greece sounding alarm bells again and sanctions against Russia hurting EU business, betting against the euro in favor of some form of dollars doesn’t seem very unreasonable. No respectable currency has tanked faster than that of right here in Malaysia. Thanks to the collapse in oil prices, resource-rich Malaysia has felt the full brunt of the market. When I established a base of operations here last July, the ringgit traded around 3.15:1 against the dollar. A few days ago, it reached a fresh low of 3.52:1. Everything here in Malaysia has become cheaper. Such is life when your local currency tanks by double digits in a matter of weeks. While some products, like my beloved Coca-Cola, have seen price hikes by stores with international suppliers, plenty of products are priced just as they were before the ringgit fell into the toilet. That means that everything from the 19-ringgit lunch specials at the mall to Apple computers are on sale to the tune of more than 10%. While Malaysia imports a lot of things, it also produces a lot of things. You can subsist entirely on locally grown fruits, vegetables, and meats. That means that while oil prices remain low, living in Kuala Lumpur or the foodie hub of Penang got a lot cheaper. So, too, has Malaysia’s MM2H visa program, which requires a 300,000 ringgit bank deposit. If you’re in the market for a second residency with few strings and not a lot of hassles, Malaysia’s option is among the easiest in the eastern hemisphere and is now available at sale prices. 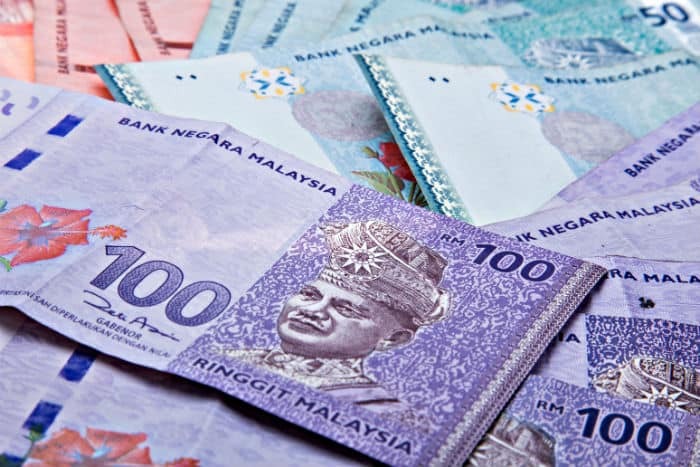 While I don’t think anyone expects $100 oil again anytime soon, I do expect the ringgit to rebound over the next 2-3 years, about the same time I expect property prices to appreciate with any significance again. The ringgit saw these levels during the financial crisis and I expect it will recover eventually. In the meantime, enjoy the cheap living. With tanking commodity prices and China facing a housing bubble, things don’t look good for Australia, whose dollar has gotten its hat handed to it in recent years. It wasn’t long ago that the Aussie was at par and even better to its US counterpart, but those days are now behind us. With gold and oil underperforming, the Australians have lost a ton of support for their currency. The global currency wars haven’t helped either. To be honest, I’ve lost a lot of interest in Australia over the last few years. In everything from wars to economic policy to government propaganda, the place just looks like USA, Jr. If the United Kingdom needed some competition in its quest to be the world’s creepiest pre-totalitarian state, it may have it with Australia. I wouldn’t be surprised to see low- to mid-70s pricing for the Australian dollar. The country does have the benefit of a common law system making it attractive to western investors and interest rates there are higher than the pitiful sums paid in the United States. If you are bullish on resources, I might be a buyer of Aussies at $0.75. I could make any number of other predictions, including reaffirming my long-term support for the renminbi. (Yes, count that as #4). Indeed, 2015 will be an interesting year to watch, and will demonstrate why diversification is so important. While the US dollar appears to be the safest place to park money for the moment, negative interest rates in Europe and a phony economic recovery in the Land of the Free won’t help its cause long-term. Nor will an over-inflated stock market propped up by freshly minted money. As always, it’s important to be vigilant. Do your research and make long-term decisions based on your own personal and business circumstances, such as I am doing with the euro. 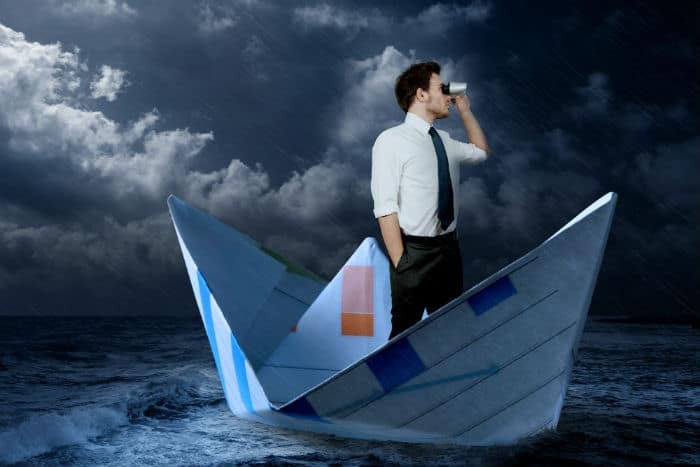 In all likelihood, 2015 will also be a good year to gain sideways diversification by purchasing foreign real estate denominated in dollars in places like Panama or Cambodia, or to buy overseas property from sellers willing to hold paper and take rapidly depreciating emerging market currencies six to eighteen months from now. I ran into a few deals like this in Turkey, where I could buy property at the low end of market pricing and have the seller accept 50% of the purchase price in monthly installments over one to two years. This strategy offers the chance to reduce your entry levels significantly if you do it right. I’ll share more on that later, as well as at Passport to Freedom in Cancun later this month. 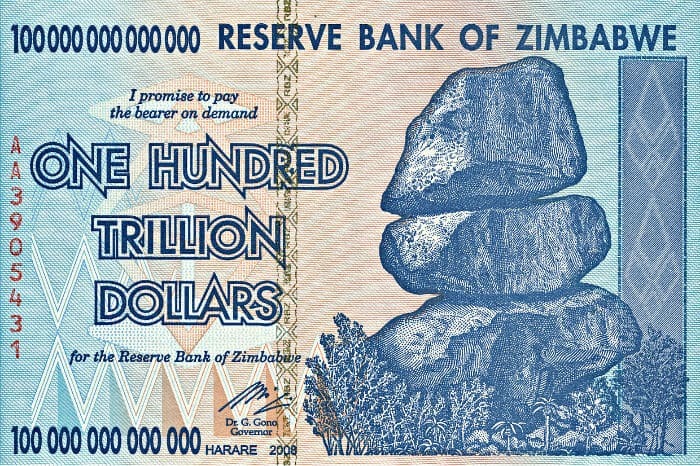 Zimbabwe hyperinflation: where is the next fiat currency revaluation? Are your bank’s foreign currency CDs worth it? I’m a student in the USA trying to finish my Bachelor’s degree first. I’m looking to be a doctor. I’d like to study abroad and possibly go to medical school in another country. New Zealand looks appealing. I try to buy as much organic food as possible so cheap organic food would be great! I’d also prefer to take out as little debt as possible. What are some affordable options for grad schools, such as medical schools. Is Malysia a good option? Any other recommendations? I can’t afford a lot plus I want somewhere with a good education system. Sadly, the trend is for people in countries like Malaysia to study primarily in the UK, as well as the US, then return home. I doubt you’d get as far as you deserve with a Malaysia medical degree outside of Malaysia or another ASEAN nation. I want to do something in healthcare but you really need credentials. Do you see the collapse of the New Zealand government and dollar? I though about opening a business to help people be healthier and lose weight. Any thoughts on countries I should look into? I thought about New Zealand. Do you have family from the USA? That’s my biggest concern and the fear of the unknown. What are some countries with the cheapest organic food? ELAM, la Escuela de Medicina Latinoamericana in Cuba, is free and Cubans enjoy organic food, which they call “food” since that’s how they farm as a matter of course.